The Impatient Crafter : Retrofabulous Christmas Craftabration Project #1! Tiny Tinsel Wreath Pin! Retrofabulous Christmas Craftabration Project #1! Tiny Tinsel Wreath Pin! 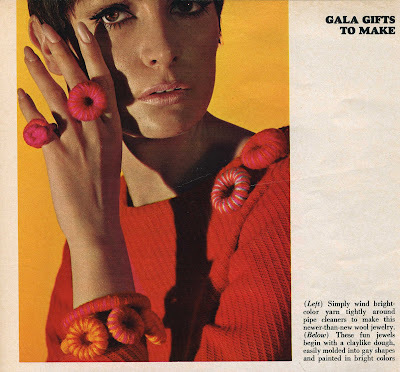 Here’s an ab fab project from a Family Circle publication called Christmas Helps circa 1967. There are a ton of great ideas on this two page mixed media jewelry spread and I promise to share them here soon. This delightful concoction is whipped up with pipe cleaners wrapped with yarn to make some marvelously mod jewelry. I did a more traditional Christmas themed take on the concept with a wired tinsel yarn, a vintage miniature wooden accent and some sparkly CRYSTALLIZED™-Swarovski Elements. 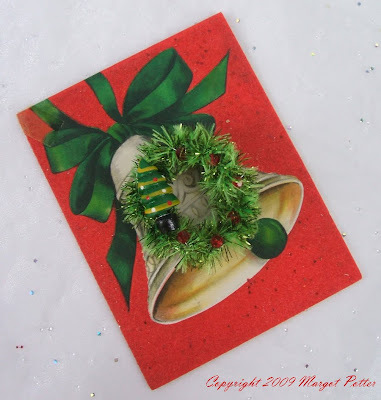 You can find tiny holiday themed items at your local craft store and any beads or buttons or sequins will work here. Liquid Fusion helps secure things together. 1. Create a 1.5” circle with your wired tinsel, wrapping one wire end around the end of the circle and continuing to wrap tinsel around the base until you’ve wrapped the entire base. Tuck the wire under after cutting off any excess. 2. Use 26 gauge German style wire to wrap crystals around the tinsel wreath, don’t overdo it or you lose the dimension of your tinsel. When you get to the bottom left side add some Liquid Fusion Glue and wire on your tiny accent element. Finish wrapping crystals and tuck wire into the base after clipping off excess. 3. 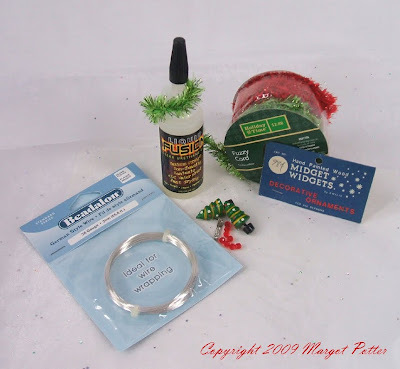 Use tinsel wire to attach a pin back to the upper back of the wreath after adding some Liquid Fusion glue to secure it. 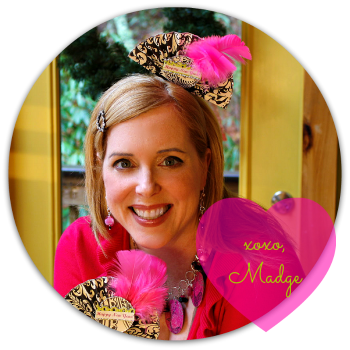 Love it, Madge! Can't wait to see what else you've got up your fantabulous sleeve! Miss you MUCH!